My family is pushing rehab. Can I go somewhere else? My family is pushing me to go to another rehab. I literally hate the 12 Steps, I hate rehab, and I do not want to go back? How do I get my family to accept me and my want to go somewhere else? Over the past 3 decades, we have heard thousands say similar things. The good news is that you have options. The first thing we want to say is congratulations on sticking to your autonomous guns. In a recovery-centered culture, it can be almost impossible to not fall prey to a victim oriented lifestyle “in recovery.” That trap can get deep. Below, you can see how the trap develops. 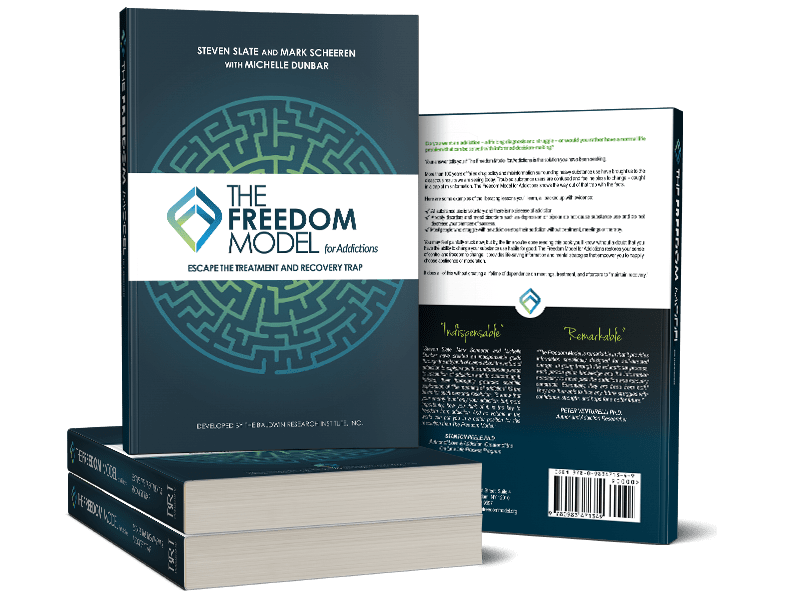 Also, we can recommend that you and your family read the entire book, The Freedom Model for Addictions so both parties can free themselves from the treatment and recovery trap. Once people begin to see you as an addict, you are expected to conform to the recovery ideology or face sanctions in some way. If you express disagreement with its views, your loved ones will now see you as falling backward even if you are completely abstinent. If you simply cut down your drinking to moderate levels, they will see you as a ticking time bomb or believe that you must be hiding the true extent of your drinking. This creates an incentive for you to parrot the recovery rhetoric whether you believe it or not. You must do this if you want to keep your family off your back, but there can be more than just annoying and unpleasant nagging on the line. Your family may have been taught tough love and may threaten to withdraw love, emotional support, and material/financial support of all kinds if you aren’t actively “working on your recovery” by attending meetings, addiction treatment sessions, or therapy. If you choose to use substances at all and you parrot the recovery rhetoric, you can get somewhat of a pass from your family by explaining that your substance use is a “relapse” into the “disease of addiction” that was “triggered” by the stress they caused you. So you get to use, get forgiven for it, and get to blame it on them, and often, you retain whatever support you’re getting by talking the talk of working on recovery. This is an enormous incentive for people who don’t intend to quit using substances at all to start using the recovery language. You lose for sure if you don’t, but you can also win a lot if you continue to talk the talk. The problem is that you might start to believe it and begin to truly feel powerlessly addicted. If you attend treatment, whether inpatient or outpatient, you learn that disagreeing or questioning recovery ideology in any way results in confrontation. You also learn that those who talk the talk get more privileges in treatment (trips off-site of the rehab, visitation and communication privileges, friendship with staff, etc.). They also get glowing reports sent to family, courts, and probation officers. Dissenters do not get these benefits. They may even get bad reports or recommendations to courts or families that their treatment should be extended. They are said to be “in denial,” and it is predicted that they will relapse. When coercive arrangements are in play, there can be a lot riding on whether you agree to start identifying yourself as a powerless addict or not. Jail time, driver’s licenses, professional licenses (e.g., a doctor’s license), housing, child custody, marriages, and whatever other myriad things the legal system, parents, and spouses control can be on the line. To win, you must talk the talk. Thus, these arrangements incentivize you to start speaking like an addict, and in the process, you just might start believing your own press.